"Convincing groundwork is a necessary ingredient of any diorama. 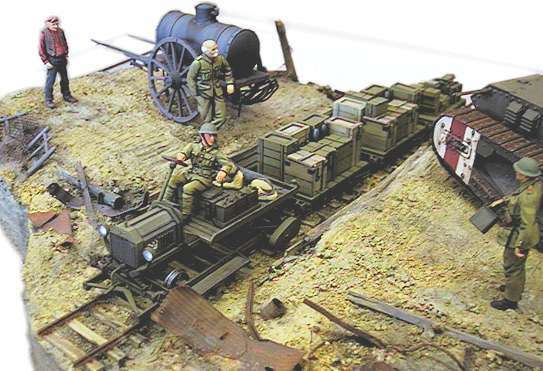 This article is a small guide to the for those who are new to the diorama making. I will concentrate on the techniques, not the artistics. Like many others, I have learnt a lot from Shepherd Paine's book How to Build Dioramas and I would recommend anyone getting into dioramas to read it. The techniques that I use are a mixture of Shepherd Paine's, a lot of other people and my own experiences…."